A trip to the hair salon can be nerve wracking: how short should you go? Is that the right hair color? 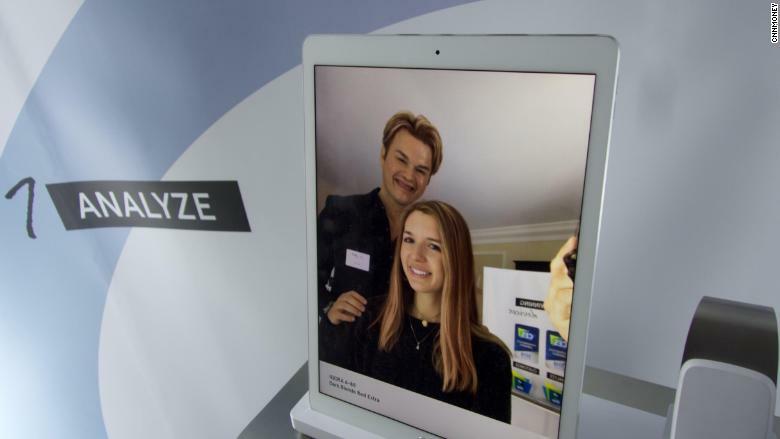 German consumer goods giant Henkel will soon let you preview looks with augmented reality to alleviate that stress. It also offers an in-depth analysis of your hair's health and will customize shampoos based on those results. Henkel, which owns salon brand Schwarzkopf Professional, plans to offer this experience to select salons in U.S. and Europe later this year. The company is teasing its vision for salons at CES 2018 in Las Vegas this week. Founded in 1876, Henkel -- which is also behind brands such as Dial soap and Purex laundry detergent -- reported sales of 18.7 billion euros ($22.3 billion) last year. Its hair care products are in tens of thousands of salons worldwide. The salon experience starts with a personalized assessment of your hair's health by using a high-tech device outfitted with infrared and light sensors. The handheld device -- called the SalonLab Analyzer -- analyzes the inner hair condition, moisture level and "true color" of your hair. The readings from the device are analyzed by a proprietary algorithm developed by Henkel's scientists. It uses digitalized hair model based on thousands of reference measurements. During a demo, it measured my roots and ends, and determined my hair needs more moisture. The reading was processed by an algorithm and combined with a hairdresser's own assessment of my hair. A stylist viewed my hair data via an iPad app and gave me a color consultation using augmented reality. Augmented reality, which shows digital objects on top of the real world, allows you to preview different hair colors to see how they would look on you before coloring. I was able to see what my hair, typically blonde, looked like with red and brown tones. The shades were realistic. I could even run my fingers through my hair and move my head around with the color staying in tact. The most surprising part: It didn't look cartoonish or like I was wearing a wig. 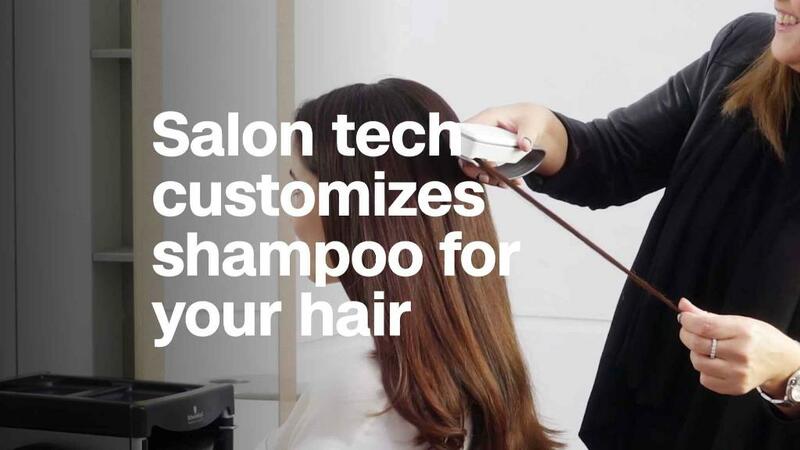 "We want to take the guesswork out of the process for the hairdresser," Nils Daecke, head of digital marketing at Henkel Beauty Care, told CNN Tech. "We don't want something that takes away their expertise or the magic of the consultation process. But [we're providing] something that really enhances the process and distinguishes them from other hairdressers who might not have the service.". The company's "SalonLab Customizer" machine also created a personalized shampoo based on my hair health data. It offers 128 different shampoo combinations, and it eventually will serve up custom conditioners, too. My custom shampoo was made in about 30 seconds. It arrived with my initials on the label and a barcode in case I wanted to reorder more of it online. Individual salons will determine the pricing for these services. This isn't the first time some beauty brands have used augmented reality. L'Oreal has an app called MakeupGenius that lets you try on cosmetics like eye shadow and lipstick on your skin virtually. Sephora has a similar feature in its app called Virtual Artist. But Henkel said it's the first to introduce augmented reality, a hair analyzer and personalized shampoos to the professional hair care space. "We want to be the first to disrupt the hair care industry," Daecke said. "We are also willing to disrupt ourselves and change the way we [create] products."